Antonia Mercè was born in 1888 in Buenos Aires, Argentina. She adapted the name of her country of birth into her stage name, La Argentina. She was also known as the Flamenco Pavlova and the Queen of the Castanets. Antonia and her family moved back to Spain shortly after her birth. Her parents, Manuel Mercè and Josefina Luque, were Spanish and were both accomplished and professional dancers. Her father was from Andalusia where the people were known for their natural grace, extension, range of motion and musicality. Antonia's mother, Josefina, was Castilian, known for their powerful presence and strong sense of style. Her parents realized they had a prodigy on their hands in Antonia and set out to cultivate her talents. They had a desire for her to become a singer and Antonia was enrolled at the Madrid Conservatory. Even at a young age her heart was set on dancing, so she sang flat and off key on purpose, frustrating her teachers and parents alike, and was removed from the Conservatory. Antonia's father had started her ballet and dance instruction at the age of four. She made her ballet debut with the Royal Opera Theatre in Madrid, Spain at the age of nine and was dancing lead roles by the age of eleven. At the age of fourteen, Antonia's father passed away and she turned away from ballet in favour of the traditional dances of Spain that her mother loved and which had always fascinated Antonia. She was an accomplished dancer, mastering Ballet, Flamenco, Spanish, Tango, Tap and the Castenets. She developed unique and original techniques for working with the castenets. Castenetas is the Spanish word for chestnuts. While Castenets are Spanish, they are not pure Flamenco and male dancers of the Gypsy or gitano persuasian consider them effeminate. Antonia truly loved the fire, sensuality and the dignity of the native dances of Spain. It was discouraging to see those dances changed by foreign influences that softened and sexualized them. True flamenco dancing was only seen in the small villages and among the Gypsies. Since the days of the Roman Empire the dances of Spain had been highly regarded. The Fandango and Bolero were popular all over the world for centuries. These dances, with such a deep, powerful and rich history, were at risk of dying out. In 1905 Antonia left the Madrid Opera to pursue her love of the traditional dances of Spain. She assumed her professional name of La Argentina and, from that point on, the only dances she performed were the dances of Spain. She was 17 years old and turning her back on the assured money and fame of ballet. Flamenco is a general term applied the body of music, song and dance associated with Andalusian Gypsies. The word is also used to describe a flamenco performer or aficionado.The Spanish name for the flamenco singer (who are male and female) is cantaora; the dancer is bailaor or bailaora; the guitarists (who are almost only men) are tocaor or tocaora. 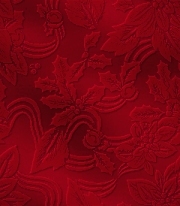 There are six main variations of Flamenco: Alegrias is the oldest, purest, most refined and dignified form of the dance; Bulerias is livelier and faster than Alegrias although similar in form; Farruca is the most Gypsy of the versions; Soleares, although rarely performed today, in combination with the Alegrias is considered the origin of all flamenco dances; Zambra has Moorish origins and is performed only by women; Malagueña, along with the Fandango, is the principal dance of Andalusa. Spain has 47 provinces and they each have their own style of dance. The roots of flamenco are with the poor and hardpressed Gypsy-Andalusian people. Flamenco itself is a combination of the song, el cante; the dance, el baile; and the guitar playing, el toque. The power of the flamenco is in its duende. This is a name given to describe the deep, primal, mysterious emotional charge that is the soul of the flamenco. It has been called the "final blood filled room of the soul" by Spanish poet Garcia Lorca. To perform true flamenco in its purest form the artists must be genuine, expressing the powers of pain and sincerity from deep within the soul while drawing it through the body, starting at the soles of the feet. The goal is to dance for yourself and not for the audience. The costumes worn by the ladies are dresses with stiffly ruffled skirts called bata de cola (long dress with a train) that rustle and snap when the dance is performed. The men wear body hugging Spanish outfits that are strongly masculine and some female dancers also dress like the men for performance. . Men dance mainly with their feet and in 1967, Solero de Jerez at the age of 17, performed a flamenco which gained a Guinness Book Record of 1,000 heel taps per minute, averaging 16 heel taps per second. 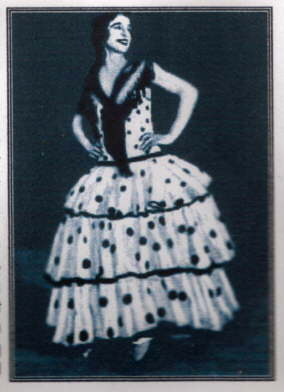 During the 191O's, Flamenco was enjoying a stronger presence in the theatre but the performances were often a part of a variety show or at the end of movies or plays. La Argentina created her own company which toured all over America, and made their debut in the New York Maxime Elliot's Theater in 1916. This performance was Enrique Granados' choreography of "Goyescas". The Met offered her an opportunity to perform "Goyescas" and to present her art, the true dances of Spain, before a cultured and appreciative audience. Although Antonia was called the Flamenco Pavlova, she was offered $100 a week to perform while Anna Pavlova commanded $1,000 a performance. She was unwilling to accept a cabaret performer's pay for an artist's engagement. Pavlova was at the time the finest ballet dancer in the world and La Argentina the finest Spanish dancer, as a true daughter of Spain, she was unwilling to see the dances of Spain valued less than the dances of Russia and turned down the engagement. She spent the next ten years dancing in cabarets and dance halls being denied the recognition for her art. In 1918 she performed in a New York revue called "Tierra del Fuego" which closed after a couple of days and in 1924 a Paris revue called "Femina" had engaged her for one performance. In 1927 she was now 39 years old, living in Paris and had devoted 22 years of her life to the dances she had loved and still languished in relative obscurity with a bleak future. She took the biggest gamble of her life and invested all of her savings in a show of her own. She hired the Theatre des Champs-Elysees and hired the finest Spanish musicians. She had lavish costumes and sets made. The rest of her money went into posters and advertising. Within three weeks she had spent all of her savings. Friends warned her that she would be ruined if the show was a failure but she was past the point of no return. Advance ticket sales for the show had been good but she had no real idea on the ultimate success of her endeavour. Opening night she took the stage, and in true flamenco fashion, danced like no one was watching. At the end of her performance there was absolute silence in the theatre, she thought she had danced to an empty house. The theatre suddenly thundered with applause, shouts, and cries of delight - the theatre had been filled to capacity. The Paris newspapers, which had for so long ignored Spanish dance, were filled with rave reviews. Offers poured in for engagements from around the world and La Argentina was received with acclaim and appreciation everywhere she performed. In 1929 she organized the Ballet Espagnols and continued to open the doors for other Spanish dancers. Her many musical and theatrical collaborations and profound dedication to her art make La Argentina an important artistic symbol and an equally important preservationist of Spanish cultural history. She is credited with the rejuvenation of the dance in Spain when the arts of flamenco and classical bolero dance were waining. She developed a style of neoclassical Spanish dance and was the first performer to dance to the music of leading classical composers. La Argentina started the first flamenco dance company in Spain and created many original flamenco ballets. She helped to set the stage for the remergence of this art form in Spain and the world in the 1920-30's. Flamenco reached the height of its popularity in the 1940-50's and is going through a resurgence in popularity again. In 1936 La Argentina died suddenly from a massive heart attack and newspapers around the world mourned her passing. She died the same day that the Spanish Civil War broke out which tore her beloved Spain apart. You can visit Gypsy Heart Productions for information on the new feature length documentary, "Queen of the Gypsies" about another legendary Flamenco dancer that La Argentina paved the way for, Carmen Amaya. 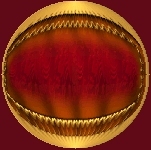 (1918-1963). 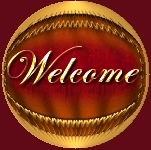 This page was created November 11, 2003 and updated on March 28, 2007.